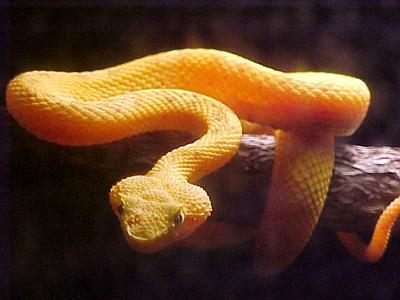 The subject of the next lecture 9/22/08 will be evolutionary considerations of venoms, toxins, and antibodies to these molecules. What if a “toxin” actually can be good for you, and what if the “toxin” does not benefit the organism that produces it? Is it still a toxin? Or something else entirely? Much work on intensive care patients relates to dramatic reaction to “endotoxin”, otherwise known as lipopolysaccharide. Endotoxin is a basic component of the cell wall of certain bacteria. Endotoxin can result in a drop in blood pressure, widespread inflammation in the body, fever, and leaking capillaries. When severe, these symptoms can kill. Endotoxin has these effects when it appears in the human bloodstream. It also occurs in huge quantities in the intestines and colon, a result of the vast numbers of E. coli and other bacteria that reside there. Clearly endotoxin has different effects depending on where it occurs. Why might endotoxin have inflammatory effects in the blood? Do you suppose that the bacterium makes endotoxin because it has these inflammatory effects? Alternatively, perhaps bloodstream endotoxin is a signal that bacteria have left the location where they are tolerated (the gut) and have entered the circulation. Lets think of toxins the way we think of fever. (There is good evidence that in many animals, fever is a host defense that helps destroy pathogens!). Which party does a toxin benefit, the pathogen or the host? Streptococcus is a bacterium that causes strep throat. Streptococcus toxins kill host cells by puncturing holes in their membranes. Strep “perforins” allow bacteria to escape after they have been phagocytosed. These toxins that create conditions favorable to bacterial reproduction and transmission and are harmful to the host. Endotoxin might be different. Endotoxin initiates an inflammatory response that puts immune cells on high alert to kill invading pathogens. Is it in the bacteria’s best interest to advertise its presence in the blood? Or would the bacteria do better if they were not detected? If the reaction to endotoxin benefits the host and not the pathogen, we would expect that antobodies to endotoxin would be harmful during bloodstream infections. This proposition has been tested! Which way do you think it turned out? Hmmm? What do you think about that?